1. 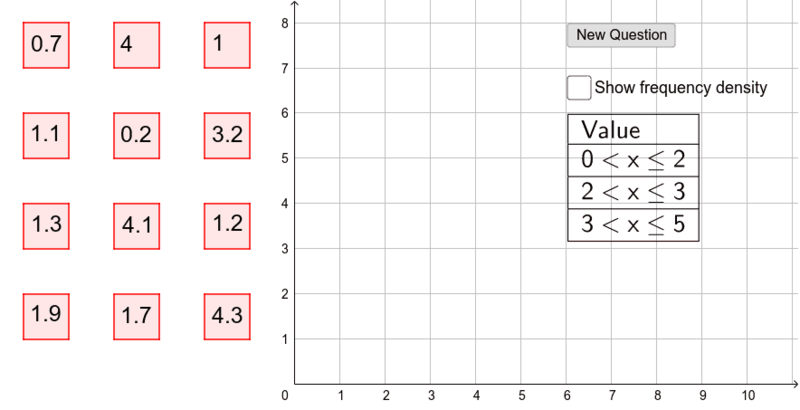 Drag the numbered squares into the appropriate column on the graph as per the given groups (e.g. 1.4 would be positioned between 0 and 2 on the x axis). The column must be filled horizontally before stacking squares if there is more than two numbers within that group. 2. Click on the 'Show frequency table' to confirm frequencies and densities within each group and the shape of the histogram.